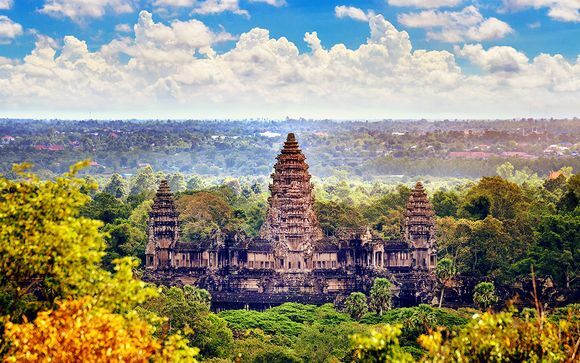 Holidays to Cambodia up to -70% off To take advantage of these offers, join now for free! Discover where to stay in Cambodia and immerse yourself in the history and culture; book unique and luxurious accommodation at Voyage Prive. Cambodia is a relatively undiscovered holiday destination in South East Asia, offering travellers an exotic mix of history, culture and adventure. 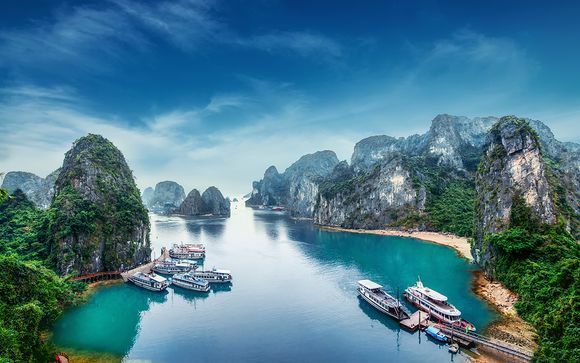 Whether you’re looking to kick back beside a luxury pool, lose yourself on a desert island or trek through ancient jungles, you can have it all with a Cambodia holiday. Start your trip in the capital, Phnom Penh, which buzzes with life beside the mighty Mekong River. By day holidaymakers peruse the numerous markets for crafts, designer goods and souvenirs. History buffs can make the short journey out of the city to the ‘Killing Fields’, promising a beautiful and emotive experience harking back to Cambodia’s troubled past. Then there’s Phnom Penh’s stunning ‘Royal Palace’, thanks to its ornate rooftops and airy temples. The popular sunset cruises along the Mekong promise picture perfect views of Phnom Penh as day turns to night. Luxury holidays wouldn’t be complete without the promise of rooftop cocktails and world class international cuisine. Phnom Penh has it all, so your toughest decision will be whether to go the whole hock with a traditional Khmer BBQ – perfect for sharing! Late night karaoke and the light Ankor beer could keep you up until the early hours. However, no Cambodia holiday would be complete without visiting its pride and joy, Angkor Wat, at sunrise. 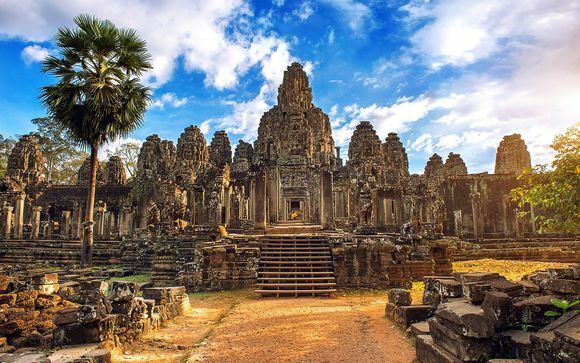 Deemed ‘the most important archeological site in South East Asia’ by UNESCO, this vast temple complex is set deep in the jungle and dates back to the 9th century. Its neighbouring town Siem Reap provides a host of luxury accommodation. 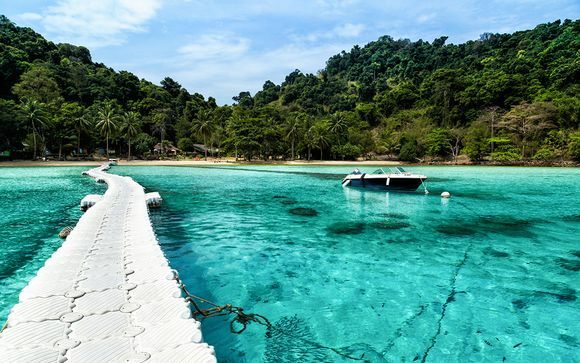 Those looking for some action can head south to the Koh Rong nature reserve where you can pick-up a number of tours, from hiking to biking and even kayaking. Head back along the coast and holidaymakers can relax on the pristine beaches of Sihanoukville, where beachside bars can help them unwind in front of island dotted sunsets. 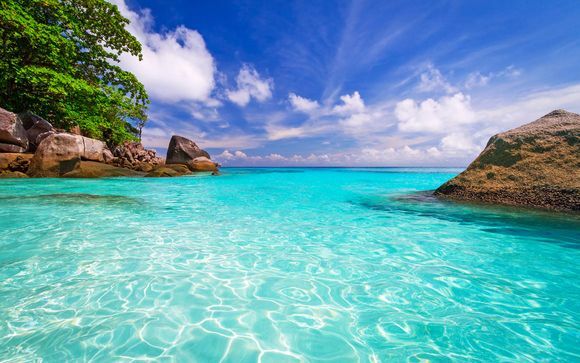 The temptation is too much for most; just a short ferry ride and you too can find your own island paradise on the tranquil beaches of Koh Rong Saloeum. Whether you’re looking for some city action or a relaxing escape, our exclusive handpicked Cambodia holidays and luxury hotels mean you will get a great deal, thanks to our exceptional discounts.